Celebrations are like a window into the heart of a culture. Celebrations show what people value, how they relate to each other, and how they express themselves. Learning how to say “Happy Birthday” in Swedish means more than learning to pronounce a few key phrases. It means digging deeper into how to celebrate a Swedish birthday. 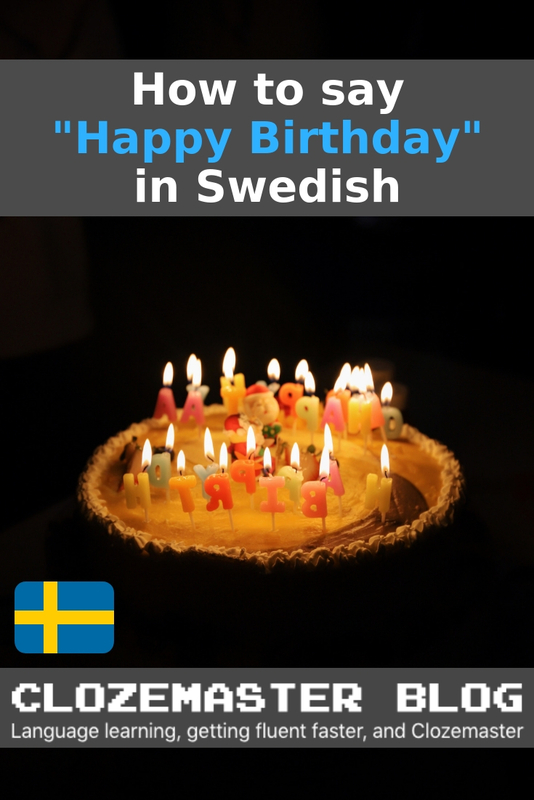 Whether wishing to acknowledge a Swedish friend’s birthday or hoping to know what to expect when celebrating a birthday in Sweden, there are many reasons to learn more. To wish someone a happy birthday in Swedish, there are many options. Their use varies based on the level of relationship to the birthday boy or girl, how formal a greeting is desired, and the mood of the well-wisher. 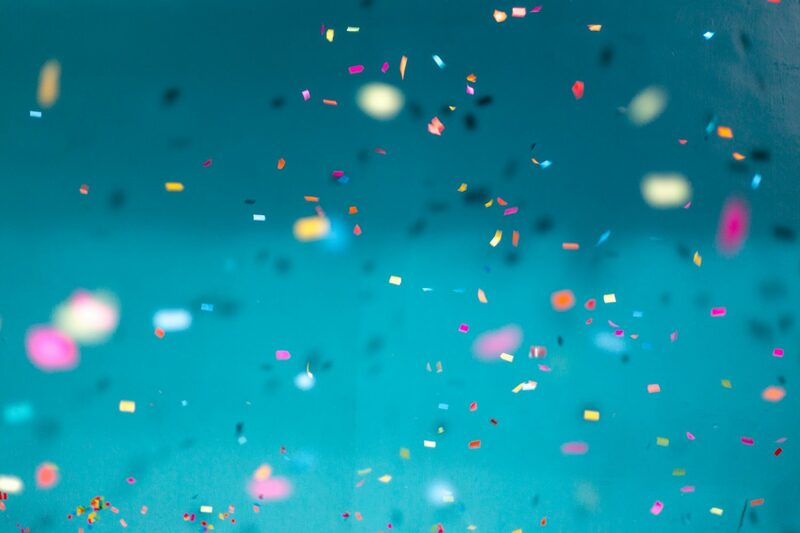 To say “Ha den äran på födelsedagen!” or simply “Ha den äran!” (pronunciation: ) is another popular way to wish someone a happy birthday, though it is far less common than “Grattis på födelsedagen!” Literally translated, it means, “Have the honor on your birthday!” or the abbreviated, “Have the honor!” It is slightly more formal to use this phrase, but it remains popular at least in part because of a scene from Disney’s Cinderella that is featured in the popular Christmas special that most Swedes watch each year on Christmas Eve. A more formal way of saying “Happy Birthday”, more commonly found in written messages or greeting cards, is “Hjärtliga gratulationer!” or “Hjärtliga lyckönskningar!” Meaning, “heartfelt congratulations” or “heartfelt wishes for happiness,” it is a lovely message to write in a birthday card, but would raise a few eyebrows if said in person at a party. A birthday is a thing – a noun – and in English it is usually discussed in a passive form. However, it is far more common to talk about birthdays in Swedish using a more active verb form. Today is Cecilia’s birthday. Cecilia fyller år idag. When is your birthday? När fyller du år? My birthday is in July. Jag fyller år i juli. Whose birthday is it? Vem är det som fyller år? He turns 12 tomorrow. 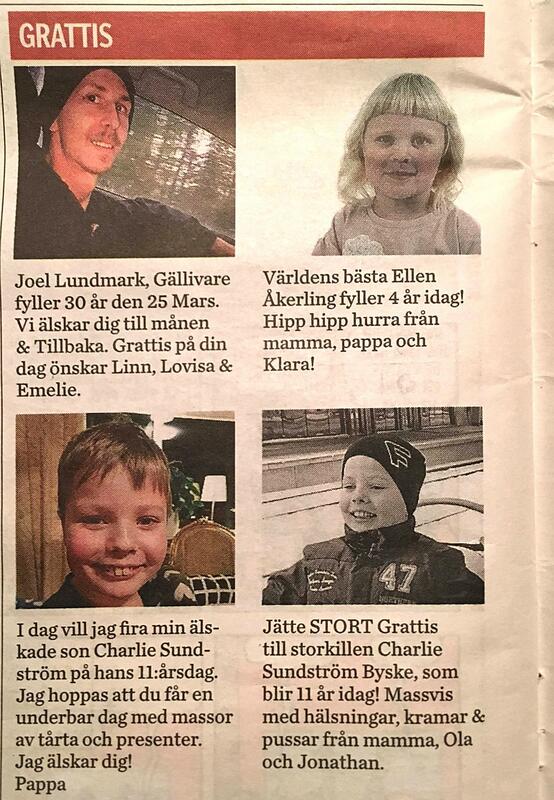 Han fyller 12 år imorgon. To refer to the “birthday boy” or “birthday girl,” Swedish uses a gender-neutral term that means “birthday child.” It is worth noting that this expression can be used for anyone of any age, whether the “child” in question is 5 or 25 or 85. Many Swedish birthday traditions are very similar to how birthdays are celebrated in other western countries. Cake and presents are popular ways to celebrate, and there may be special meals or parties. Sending a card is less common than a phone call on the big day to wish someone a happy birthday. Other traditions are more unique and can be surprising for those unaccustomed to Swedish culture. 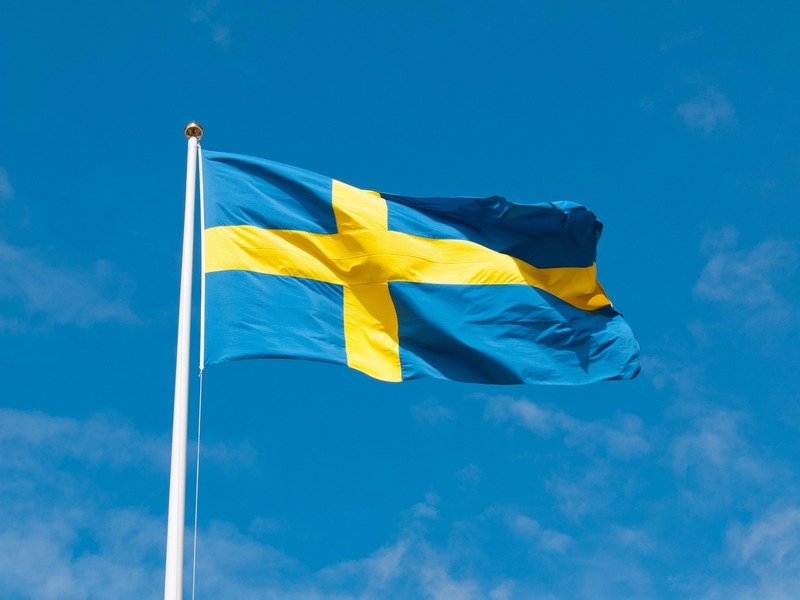 The Swedish birthday song: Ja må han/hon leva! The “birthday song” in Swedish has no mention of any of the birthday phrases described above. It does not wish someone a happy birthday as much as it wishes them a long life. Depending on the context, there are other verses that may be added. These involve lighthearted wordplay that is difficult to translate but implies that once the person has reached the age of 100, he or she should be shot, hanged, or drowned. It is admittedly a somewhat morbid way to celebrate a birthday, but not as terrible as it might appear at first glance. And the additional verses are generally avoided at children’s birthday parties. One way many families send birthday greetings to loved ones is to place a birthday announcement in their local newspaper. These announcements are relatively inexpensive and are printed in the “Familj” (family) section of the newspaper together with wedding or birth announcements and obituaries. Featuring a picture and a short message, they are common for children of all ages and adults celebrating milestone birthdays. In this part of the newspaper, readers also find short messages from people who wish not to be recognized or celebrated on their birthdays. The phrase most commonly used for this is All eventuell uppvaktning på min födelsedag undanbedes. The word eventuell is often abbreviated (ev) for space. People who are placing these ads are asking anyone who might have planned to acknowledge their birthdays to please refrain from doing so. 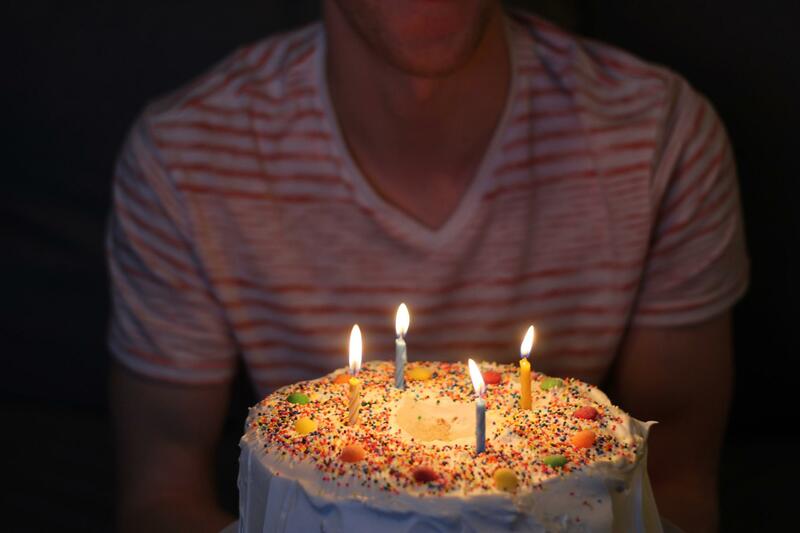 While it might seem that those making this request have strong negative feelings toward their birthday or toward growing older, this is usually not the case. It more often simply reflects the very high value Swedish culture places on not calling attention to oneself. Another page of the ‘Familj’ section of Norran, listing those who do not wish to acknowledge their birthdays, and featuring two local people celebrating milestone birthdays. Swedes view their brightly colored blue and yellow flag as a symbol of celebration. In addition to nationwide flag days, when flags can be seen flying from private flagpoles and city buses alike, raising the flag to celebrate a family event such as a birthday is both common and encouraged. The flag motiv is printed on greeting cards, napkins, and party decorations of all kinds. Not all birthdays are created equal. Turning 27 (pronunciation: ) is nothing special – just another year. Although for native English speakers, 27 is perhaps the hardest number to pronounce so it may represent a different kind of milestone: a year of being unable to answer the question Hur gammal är du? (pronunciation: ) – How old are you? 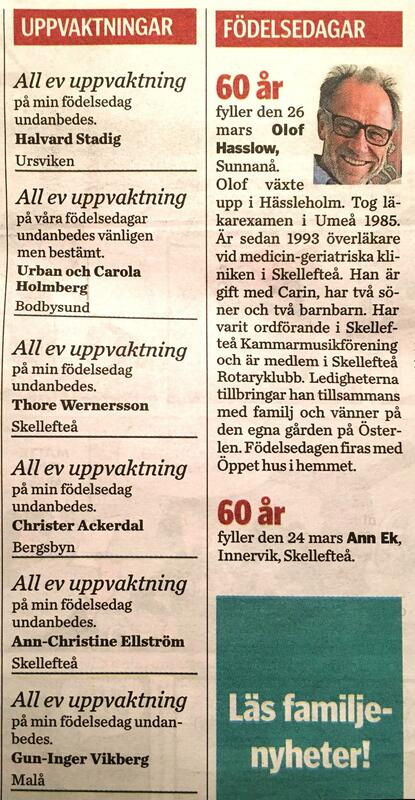 Turning 50, however, is a very big deal in Sweden. 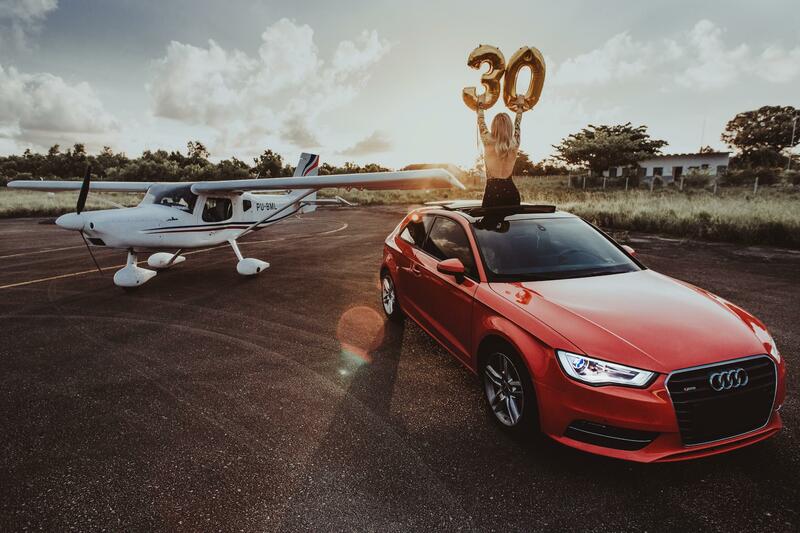 Celebrations for milestone birthdays go above and beyond the ordinary, and big parties, more expensive presents, or extravagant vacations are some popular ways to mark the occasion. When a Swedish teenager turns 15, he or she is old enough to get a license to drive a moped. This privilege dramatically increases his or her sense of freedom and independence, so it a much longed-for milestone. A common gift for a 15th birthday, if a family can afford it, might be the costs associated with getting the license, which can be equivalent to several hundred US dollars. They may receive the moped itself as a gift or be expected to save money to purchase their own. Eighteen years old is the age of responsibility in Sweden. A young person is considered myndig at this age and legally gains adult privileges and responsibilities. Most 18-year-olds are still in gymnasiet (high school), but they gain the right to vote in elections, and purchase restricted products such as tobacco and alcohol (in restaurants or bars only.) Eighteen is also the minimum age for a driver’s license. At the age of 20, it becomes legal to purchase alcohol at the state-run liquor stores, Systembolaget. Most Swedes have finished high school prior to turning 20 and few have enrolled in university studies yet, so 20 is an age of “gap year” explorations. The expression att fylla jämt means to turn an “even” age – which refers to the numbers ending in zero. When someone begins a new decade of his or her life, it is cause for extra celebration. It is first acknowledged at 30, though the celebrations (and the finances available for them) tend to increase with each decade. In a country where all employees are legally guaranteed a minimum of 5 weeks of paid vacation each year, many employers give increased semesterdagar (vacation days) with age, so reaching milestones is cause for extra celebration – with a little extra time to do just that! From throwing a large and extravagant party before jetting off to a sunny beach in Southeast Asia to placing a newspaper ad asking the entire city to avoid acknowledging your special day, there is a wide variety of ways to celebrate birthdays in Sweden. Clozemaster has been designed to help you learn the language in context by filling in the gaps in authentic sentences. With features such as Grammar Challenges, Cloze-Listening, and Cloze-Reading, the app will let you emphasize all the competencies necessary to become fluent in Swedish. Take your Swedish to the next level. Click here to start practicing with real Swedish sentences!